Have any of you installed the Breakaway throttle lock system on your Swings? This set up is mechanical, not electrical. I am planning some long distance adventures this year and really need something to give my right arm/elbow a rest when riding long distances. I'm not really crazy about some of the other throttle locks that are available now. I read through the "Maintenance and Modifications" section and saw a post from a member back in 2011 that had installed one of these systems and really liked it, but have seen no other posts on this since then. The Breakaway type throttle lock is somewhat expensive but if it works well, I consider it worth it. The feature that I really like is that it releases the throttle when you apply the right brake. I contacted the Breakaway company and they do have a model that will fit a Silverwing. Thanks for any info on this throttle lock. I have not used one of these yet. I went to their site and this appears to be a quality product but as you said...a bit pricey at 179.00. Please let us know how well it works later. I've used this on several cycles I've had and now have one on my SWing. It works well. Dale, thanks for the information on the Vista Cruise, I am considering that one as I research throttle locks. Do you have to flip up the lever to release the throttle if you need to pull the brake lever? That is one of my concerns if a "panic" stop is necessary. I have never used any type of throttle lock, having ridden Gold Wings with electronic cruise for many years, so this is all new to me. I think the Breakaway, properly installed is a good product, though too expensive for me. The good thing about this product is that it releases with the front brake. I think you would just need to tap the front brake lever to quickly release the lock, and deceleration will occur. For $17.95 I would buy it. Not 179.95. But it might be worth the price for safety. I have also used a $40 Vista Cruise Universal with thumb lock and release, which works as well as Dale's less expensive Vista Cruise Throttle Clamp. But, Dale, I think I would prefer the Vista Cruise clamp that you refer to. If you can adjust the friction in the locking position, it's better than my Go Cruise. Here's why: With mine, if I want to slow down in the locked position, when I want to afterward go faster, I have to reset the lock for a faster speed every time. With yours, you can lower and raise the speed on-the-go, and not have to reset the lock with a thumb or finger because it maintains friction BOTH WAYS. While my Go Cruise is the simplest to install, yours is almost as easy, with the addition of adjusting speed without resetting the lock. Also relating to throttle locks, I have used them on both motorcycles and the Swing. I don't know how many Swing riders appreciate the advantage of a throttle lock on a Swing vs on a shifting motorcycle. 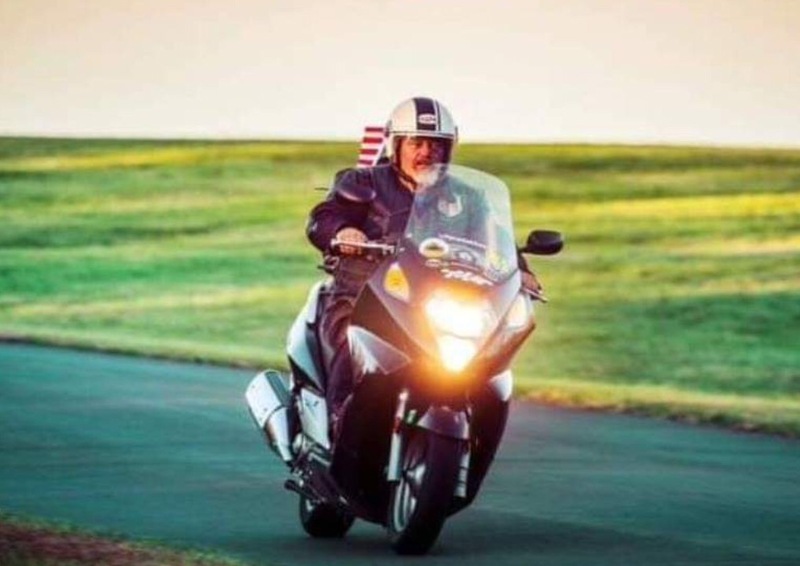 On a motorcycle, if you are cruising along and locked in to a certain speed and reach a hill, Your engine starts "lugging," and you too often need to break your throttle lock and reset it more for hills; whereas, the Swing's CVT transmission never "luggs," and adjusts automatically with higher RPMs on hills, keeping your speed up a little better than the single locked gear of a motorcycle, thus fewer adjustments to make. On flat highways as in some mid-western states of USA, you won't notice the difference between clutch motorcycle and Swing, but enter hill country, and you can still have the throttle lock work for you more effectively on the Swing. My NEP throttle lock is very easy to use. Your speed can be adjusted while riding with out having to reset it. It is just friction that holds the throttle position. It does not automatically release when activating the front brakes. I only use it when in open highways. Not too often here in Hawaii. Most times I use it when adjusting my right side mirror that someone bumped when parked and I notice it after starting my ride. For $20, it is worth it. My 2¢.